Long-time punters may be familiar with the name Treasure Bingo. The brand was initially launched back in 2010 as a Virtue Fusion Bingo site on the Better Bingo Network. However, the site closed in 2013. 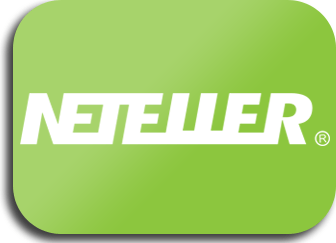 Come October 2014, players saw the launch of the brand new online site with the same name after being picked up by the Ignite Bingo Network. They're now a Cassava Enterprises bingo site that's licensed by Gibraltar and UK gaming commissions. Check out what Treasure Bingo has to offer by reading on! There's no need to plunder and pillage for playing funds as Treasure Bingo kicks off the hunt with a Sign up to get a 300% welcome Bonus up to £60. Just complete registration, confirm a credit or debit card, and claim the reward. Non-funded players only. Offer valid once per player until further notice. Min dep. £5. Max bingo bonus £60. No code required. Wagering requirements: 4x Bonus & 4x Deposit. Bonus for bingo games only. Full T&Cs apply. 18+ only. In exceptional cases, Treasure Bingo may conclude promotions, bonuses or special offers before the end of the advertised period or may prolong the period of a promotion, bonus or special offer, for example due to security or bonus abuse issues. Treasure Bingo’s full Bonus Policy applies. Treasure Bingo’s full Terms & Conditions apply. Treasure Bingo wants to keep the whole crew happy with a rewarding VIP program. Loyal players are classified into 5 levels, which they climb up based on their cumulative deposits. Called the Diamond VIP club, punters will earn diamonds every time they play online bingo with real money. These can then be exchanged for free cards and spins, better bonus, real cash, and other exciting products. Take Treasure Bingo across the seven seas with their fully optimised mobile bingo site. They're using a no download bingo platform so no additional app or software is necessary to play. Furthermore, the site is compatible with practically any system, so punters can use their preferred device. Treasure Bingo works with a variety of reliable payment partners to ensure safety and security for all deposits and withdrawals. 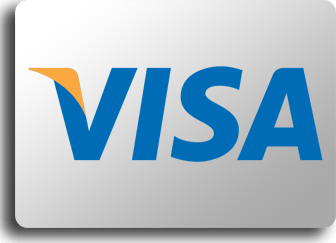 Players can make bingo deposits using credit cards such as Visa and MasterCard. 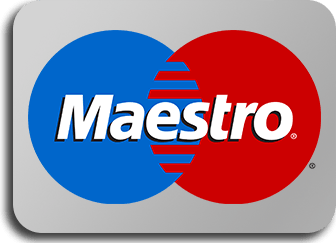 Debit card bingo payments, including those via Maestro, Visa Electron, Solo, and Switch, are accepted as well. 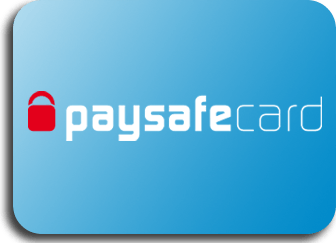 The online bingo site accepts Paysafecard, NETeller, and wire transfers too! The minimum deposit amount required is £5, with the minimum withdrawal amount at £30. Do note that at least £20 must have been deposited into the account prior to cashing out. Each Treasure Bingo bonus has its own wagering requirements that must be completed prior to withdrawal. Unless otherwise stated, players agree to accept terms such as wagering 4 times the total amount of bonus funds. In the case of deposit-related bonuses, the wagering requirement is 4 times the total of the deposit and bonus funds. Treasure Bingo has a wealth of high-quality online bingo games. There's a selection of rooms playing 90- and 75-ball games, as well as 5-line bingo. Don't forget to check out games where players can win guaranteed and progressive jackpots for more loot! Various punters need not search all corners of the globe for alternative gaming options as Treasure Bingo is also home to a vast collection of online slot machines, casino card and table games, scratch cards, and other instants. For those who have played on Ignite Bingo sites before, Treasure Bingo should be a breeze to play on. It's basically the same layout, just with different design elements to go along with the theme. On the downside, it's also pretty much the same site with modified names to make it look like they feature plenty of exclusives. Nevertheless, it's a great platform to play on with its ease of use. Should players encounter any issues, Treasure Bingo has a 24/7 customer service team available via email, phone, or live chat. They also have a comprehensive help section where players can find FAQs and how-to guides. Get to know the rest of the crew by entering one of the chat rooms. Don't be scared about walking the plank as these rooms are moderated by friendly chat hosts to make sure that everyone is as comfortable as possible. From Virtue Fusion in 2010, the 2014 re-launch of Treasure Bingo saw the brand become a new Dragonfish bingo site. It's not surprising since they're now part of Cassava Enterprises and 888 UK Limited. As such, Treasure Bingo operates on the same high standards that both gaming companies are known for, providing users with a fantastic platform to wager on. Treasure Bingo has many of the qualities of the best online bingo sites, but whether or not they make it on the list is up in the air. With so many new sites coming out every so often, the challenge is standing out from the crowd. While Treasure Bingo does a good job of implementing a theme, it's basically just a re-design of existing sites that share the same network. The good news is that the online bingo site features great games, lucrative offers, and excellent services. If they can add more exclusives, they have a bigger chance at becoming a more popular online bingo site in the UK.